The Secure Software Alliance has been established in May 2014. Initially the objective of the Secure Software Alliance was to publish, further develop, and monitor the quality of the Framework Secure Software. Currently the Secure Software Alliance has broadened her tasks by supporting other initiatives and ideas that help organizations to increase software security. The Framework Secure Software was initiated and created by several Dutch software security firms. The program has been substantially supported by the Dutch Ministry of Economic affairs and ECP. (ECP is a neutral platform formed by private companies, governmental and social organizations). The purpose of the Framework Secure Software is to assure the security of software and to develop certification-criteria with which software development organizations can prove that their software complies with the framework. Stimulate activities that contribute to increase software security. Develop a Secure Software Certificate model for software based upon a positive advice from an inspection-organization accredited by the SSA. Work together with other private and public organizations with similar interests. Danny is highly experienced in risk management with a strong focus on security (by design) and privacy. He has broad international experience and is founder of Scyber, a company delivering secure cyber by design. 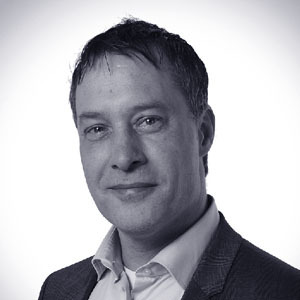 Danny is currently risk manager at Royal Schiphol Group and delivers strategic services in various sectors, e.g. airports, banking, health care, telecommunication, energy and nuclear industry. He acted in different roles, e.g. supervisor, board member, manager, auditor, consultant, engineer and trainer. dr.lec. Barry Derksen MMC CISA CGEIT is associate professor at the University Amsterdam and University of Applied Sciences Novi and involved as research director at BITTI. He is a business consultant with management experience at the interface of management, organizational information and ICT, where complex issues need to be clarified and realized for the Board of Directors and management.